Scrap recycling includes the recovery of metals and other items from end-of-life products, materials, or structures to create something new. Items within this industry are recycled repetitively without degradation or loss of its properties. That allows new raw materials to be made without using virgin components. 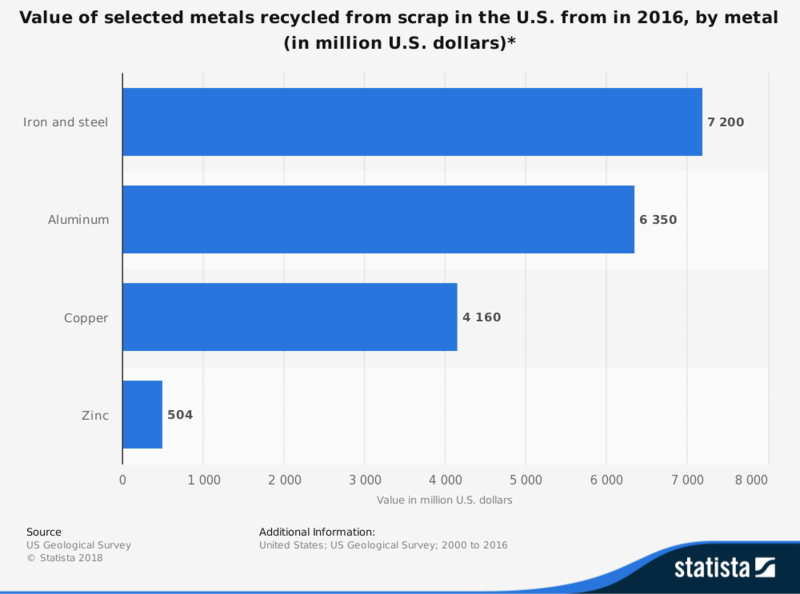 The value of the ferrous scrap industry in the United States is more than $18 billion, while the non-ferrous segment of this sector offers a value of more than $32 billion annually. Ferrous metals contain at least some iron, while non-ferrous metals do not. Aluminum, copper, nickel, zinc, and tin are the most common non-ferrous metals which are recycled by the scrap industry each year. The benefits offered by the scrap recycling energy are profound. Recycled aluminum requires 95% less energy, while copper needs 90% less for production. Recycling one ton of steel prevents the use of 2,500 pounds of iron ore and 1,400 pounds of coal. The scrap recycling industry struggles with the growing desire to stop using virgin products with an influx of supplies to use. Although revenues are growing in the industry overall, the price index for the sector reached its lowest point in over 25 years in November 2015. There are plenty of environmental benefits which come when scrap is correctly recycled. These actions save energy, reduce greenhouse gas emissions, and reserve energy use. 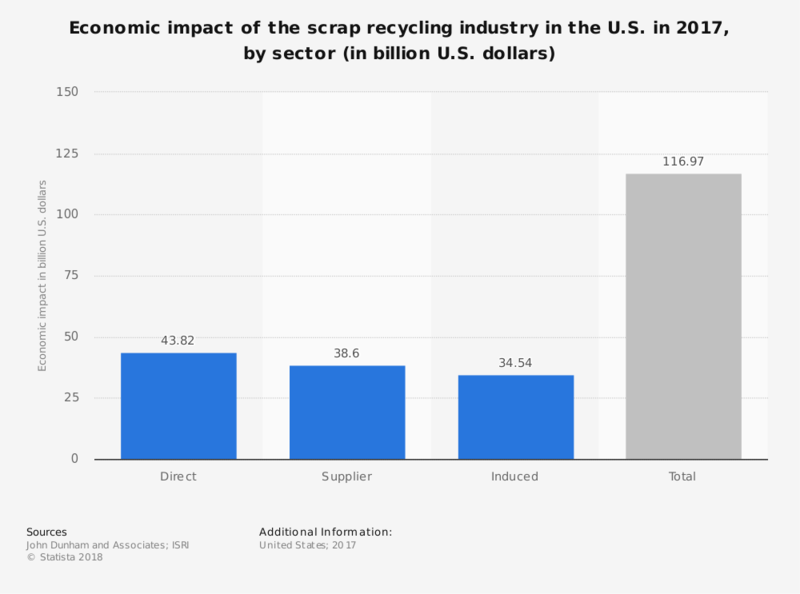 Net exports of scrap from the United States create a positive contribution of $210 billion to the economy since the year 2000. Domestic consumption in the U.S. continues to be a top priority. Until the actual price of scrap products stabilizes, however, the overall value of the industry will continue to decline. The U.S. will continue pushing forward as the industry leader, though Chinese purchases of scrap are expected to decline in the next 5-year period. Changes to recycling programs are already happening in some communities because of this shift. Even with this uncertainty, there will still be localized opportunities for growth to take advantage of in the coming years.